Now that the reports have been collated, we would like to share with you some of our favourites for 2016. This time our focus is on Western Australia, and conference scholar Olivia Tate from the University of Western Australia. My name is Olivia Tate and I am currently in my final year of my Bachelor of Commerce, majoring in Business Law and Economics, at The University of Western Australia. I also hope to continue into the post-graduate course of Juris Doctor at The University of Western Australia next year. I have travelled much throughout my life, mostly to developing agricultural-based countries in Asia and as a result I have developed a passion for studying these types of economies and their role in the international economy. Throughout my studies I have demonstrated an interest in international economics. This is best seen through my participation in the summer unit titled ‘An International Fieldwork in Agribusiness’ which was held at the Vietnamese National University of Agriculture. I believe I will gain much from attending this year’s conference as it is within a field that I am greatly interested in. The following excerpts are from Olivia’s conference report. To view her report in full, and to read the reflections of the other WA Committee and AEGIC sponsored scholars, click here. 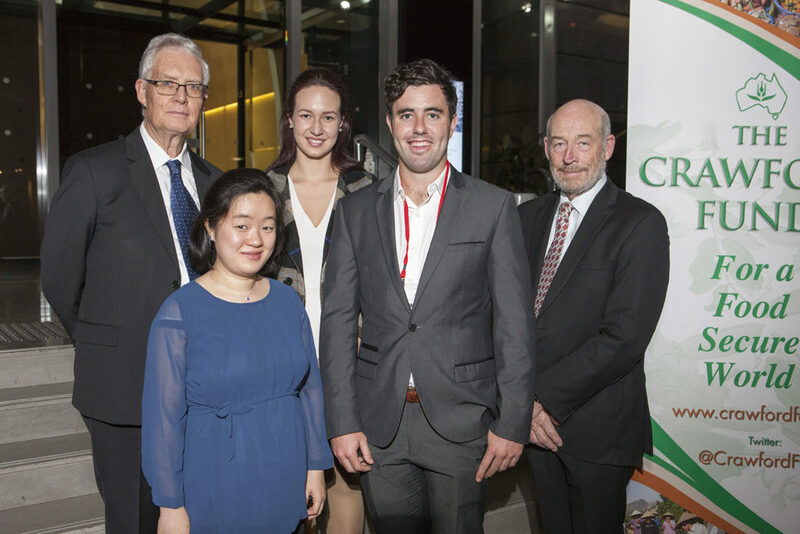 It was at this event that I met my mentor, Miriam McCormack… Miriam was able to introduce me to many of her colleagues at both the Australia Centre for International Agricultural Research (ACIAR) and Researchers in Agriculture for International Development (RAID). Having these assigned mentors was a very valuable addition as they acted as a point of contact and all of the mentors I spoke to had embraced their role and were beyond willing to assist the scholars in any way they could. This broad relevance of the speaker’s topics continued into the conference the following day, and as a result I cannot stress enough how much I gained from this day. More specifically, the first keynote speaker, Dr Karen Brooks’ talk particularly resonated with me. This is predominantly due to her background in economics and policy, similar to my own studies. Furthermore, I particularly found her discussion on negative externalities, such as the production of greenhouse gases from food waste, highly relevant. I also enjoyed the way she brought such a huge issue down to much more of a personal and relatable level.